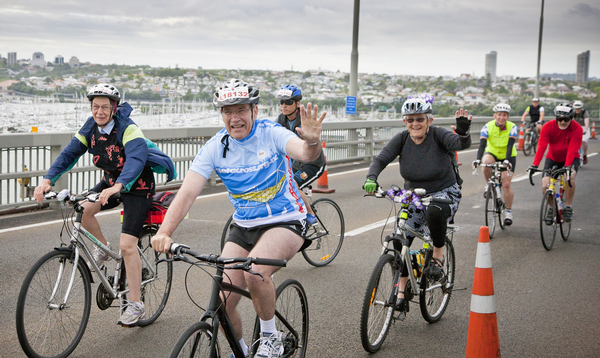 Over 4,000 cycling enthusiasts, from tykes on trikes to international elite athletes and even a unicyclist, took to the Auckland Harbour Bridge and Northern Busway today in the inaugural TelstraClear Challenge. For the very first time, cyclists were given permission to ride over the Auckland Harbour Bridge, with two dedicated South-bound lanes closed off and cyclists buffered from traffic by 160 buses. Four races, from the 110km Solo Challenge through to the 2km Family Busway Challenge, saw the usually languid Sunday traffic transformed into a hive of activity. Event Director Callum McNair said seeing the cyclists take off over the Bridge was a dream come true. 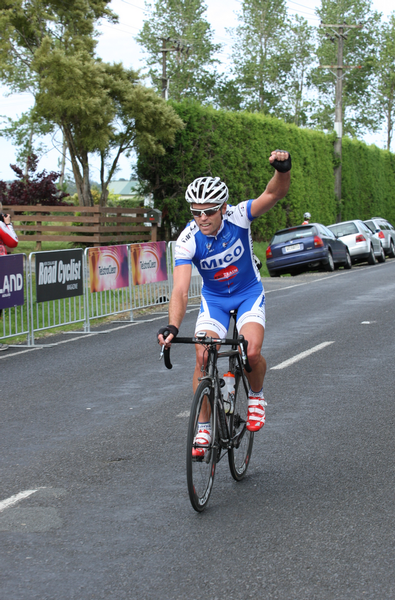 “Cycling is a hugely popular sport and pastime in New Zealand. It’s not just about the guys and girls in lycra. We wanted to create an unforgettable, safe opportunity for Kiwis of all ages and abilities to get on their bikes and take on some of our most iconic roadways. The 110km race title was taken out by Jeremy Yates in the time of 2:47:46, while women’s champion Emma Crum took home the title in a photo-finish conclusion to the race in 3:13:59. 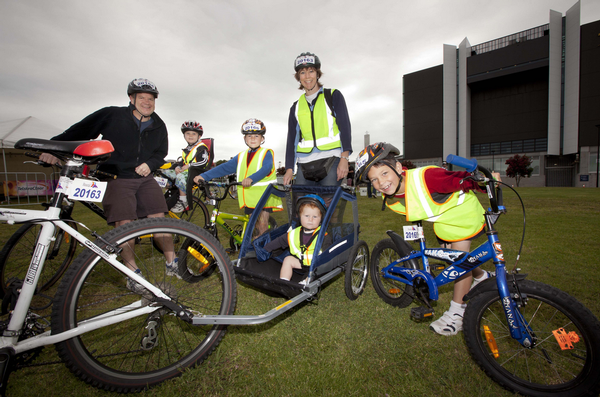 The Beaman family from Auckland’s North Shore relished the chance to take part in the 2km family bike ride on roads usually reserved for their car. “We have done a few rides as a family but it was so exciting to get out on the Busway,” said Sarah Beaman. The TelstraClear Challenge raised over $70,000 for the Multiple Sclerosis Society. All money raised will go towards research and support services.